Dublin U20 footballers opened their Leinster Championship Group 1 account with an accomplished 16-point victory in Monday night's EirGrid Leinster U20FC at Glennon Brothers Pearse Park. The Dubs established their authority on the game in the early stages and by half-time had built up a winning total when leading 2-11 to 0-8. Dublin's first goal came in the eighth minute when the highly influential Dan O'Brien dovetailed well with James Madden before sliding the ball to the corner of Conor Gallagher's net to lead 1-1 to 0-2. Two minutes later the smart-moving Dublin attack carved open the Longford defence again for Tom Keane to apply the finishing touch from close range to move 2-2 to 0-2 clear. Keane's goal came at end of one of Dublin's most enterprising moves with Cormac Howley threading a brilliant ball to James Doran who released Seán Bugler to square the ball across the face of goal for Keane. With Dublin at top at midfield and Madden also dropping in there to 'steal' a few Longford kickouts the Dubs enjoyed plenty of possession. Dublin's interplay at times up front was impressive with Keane, O'Brien, Cormac Howley, James Doran and Seán Bugler all on target to lead 2-11 to 0-8 at the break. On the restart O'Brien, a starting member of last year's All-Ireland U21 winning team, Howley and Bugler with a stylish effort off his left pushed the lead out to 2-14 to 0-8 inside five minutes. With just over ten minutes remaining Tom Gray's side were 2-19 to 0-9 clear following a flurry of scores from O'Brien (3), a long-range effort from Eoin O'Dea and another from the pacey James Madden. However, Dublin were also guilty of some missed opportunities from open play and deadball before sub Ciarán Archer took over the freetaking duties following his 55th minute introduction and he slotted a '45', a free and one from play. Before the conclusion corner-back Nathan Nolan got up the park but his dipping short came back off the crossbar while Archer also looked to have been fouled in the square but play was waved on. Dublin host Westmeath, 2-12 to 1-12 victors over Wexford on Monday night, in Parnell Park next Monday afternoon (2.0) in their second game of the Group before completing their round-robin games away against Wexford. The top two counties in each pool advance to the knockout stages with the top team in Group 1 (Dublin's group) and Group 2 (Meath, Kildare, Laois, Wicklow) going direct to the Leinster semi-final and second-placed to the quarters. SCORERS - Dublin: D O'Brien 1-9, T Keane 1-1, S Bugler, C Howley, C Archer (0-1 '45', 0-1f) 0-3 each, J Doran, J Madden 0-1 each. Longford: T McGann 0-5 (0-5f), P Lynn, S Farrell, A McKeon (0-1f), IO'Sullivan, R Hawkins, R Harkin 0-1 each. DUBLIN: D O'Hanlon; N Nolan, N Doran, C Smith; K Kennedy, N Matthews, E O'Dea; D Ryan, E Fitzpatrick; S Bugler, D O'Brien, J Madden; J Doran, C Howley, T Keane. Subs: C Hynes for Keane (36), J Holland for Fitzpatrick (48), M Mullin for Kennedy (51), C Archer for Howley (55), K Lynch Bissett for Madden (57), S Farrelly for O'Dea (60). LONGFORD: C Gallagher; K Gilmore, G Flynn, M McCormack; C Lee, M Cahill, S Farrell; E Farrell, C McElligott; I O'Sullivan, P Lynn, N Farrelly; R Hawkins, T McGann, A McKeon. Subs: D Duggan for Cahill (ht), R Harkin for O'Sullivan (38), R McHugh for McElligott (46), S Campbell for McCormack (48), R Claffey for Farrell (55), A McGee for Hawkins (59). 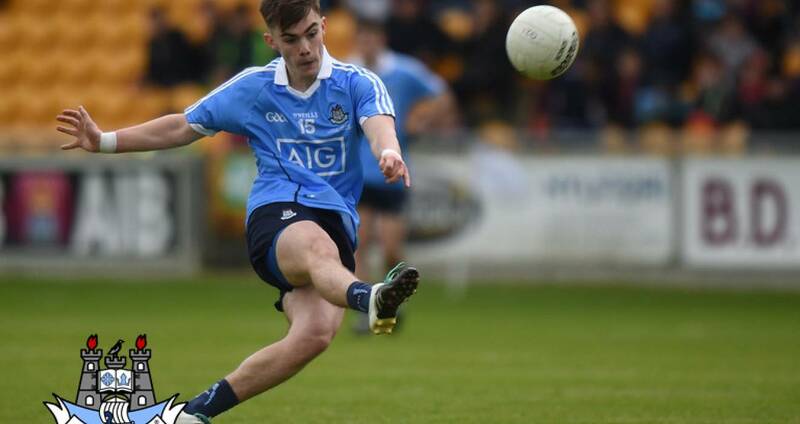 Dublin U20 footballers Group 1 schedule - Monday, May 28: Longford 0-11 Dublin 2-21, Glennon Bros Pearse Park: Monday, June 4: DubIlin v Westmeath, Parnell Park, 2.0; Saturday, June 16: Wexford v Dublin, Innovate Wexford Park, 2.0.